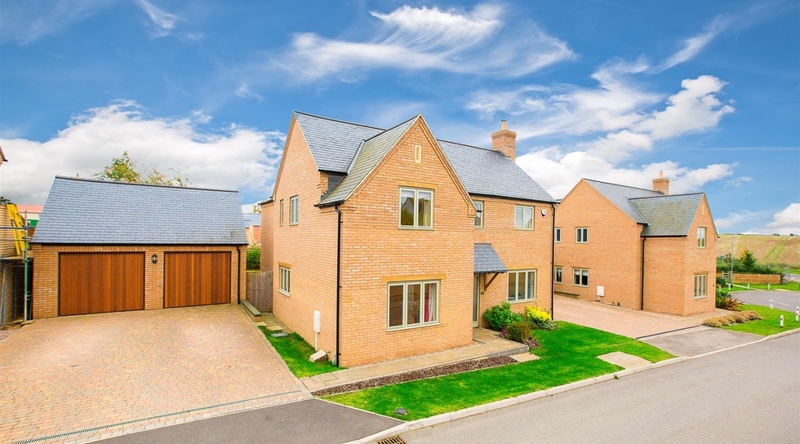 Built by Grace Homes and situated in the popular town of Burton Latimer is this immaculately presented high specification double four bedroom detached property offering separate reception rooms, modern kitchen/family room, utility room, downstairs WC, modern bathroom and ensuite to the master bedroom, private rear garden, double garage and off road parking for four vehicles. 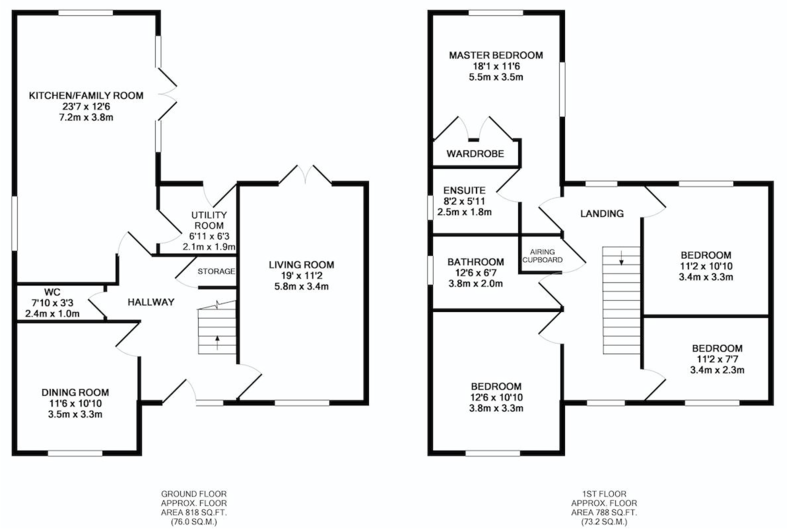 The property is entered into the hall, which provides access to the living room, dining room, kitchen/family room, downstairs WC and stairs rising to the first floor landing. 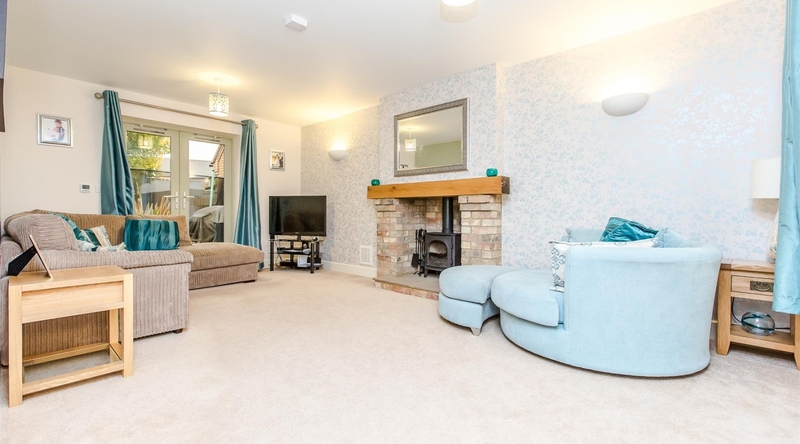 The larger than average living room has an impressive log burner with a brick surround and double doors opening out onto the private rear garden. 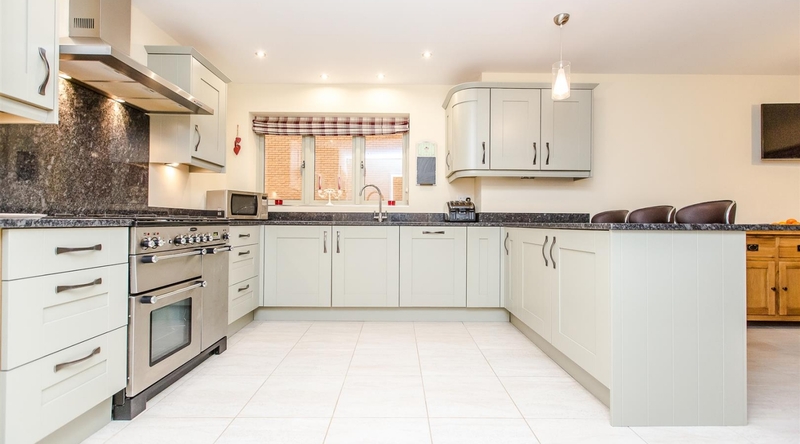 The large modern kitchen/family room features a range of shaker style eye and base level units, granite work surfaces, spotlights to the ceiling with access to the utility room and double doors opening out onto to the private rear garden. 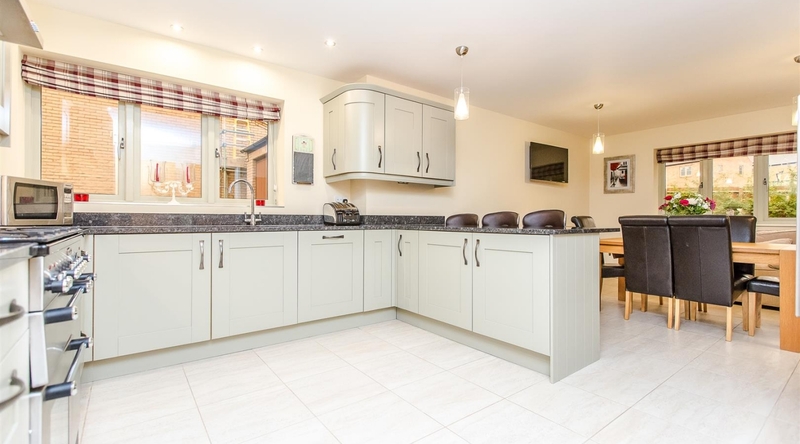 There is an integrated dishwasher, “Rangemaster Cooker” and space for an American style fridge/freezer. 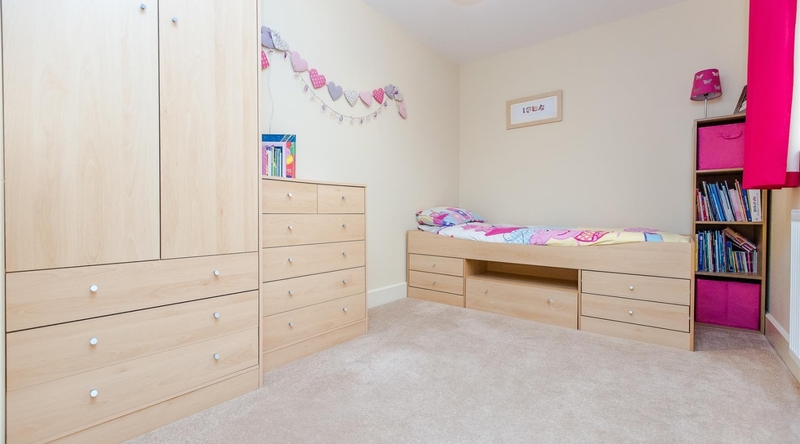 The utility room has plumbing for a washing machine, tumble dryer and access into the private rear garden. 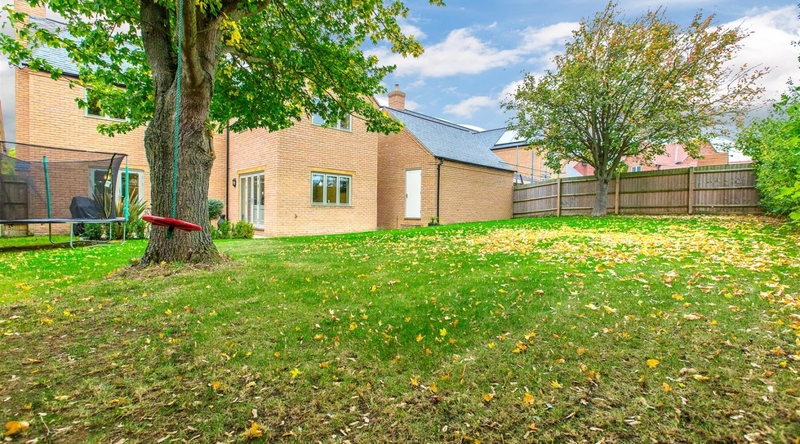 The property has underfloor heating throughout the ground floor. 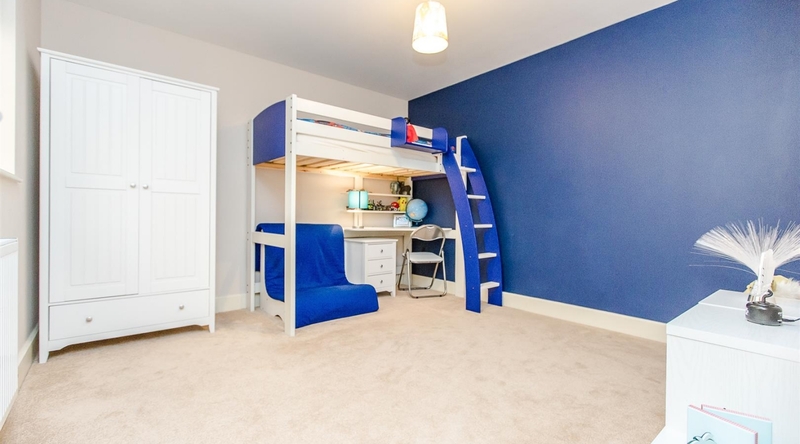 The first floor landing gives access to four good sized bedrooms and the family bathroom. 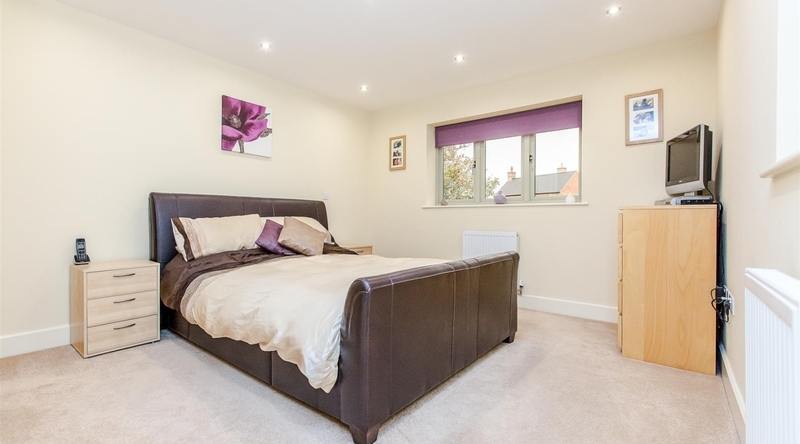 The spacious master bedroom benefits from built-in wardrobe space and an ensuite. 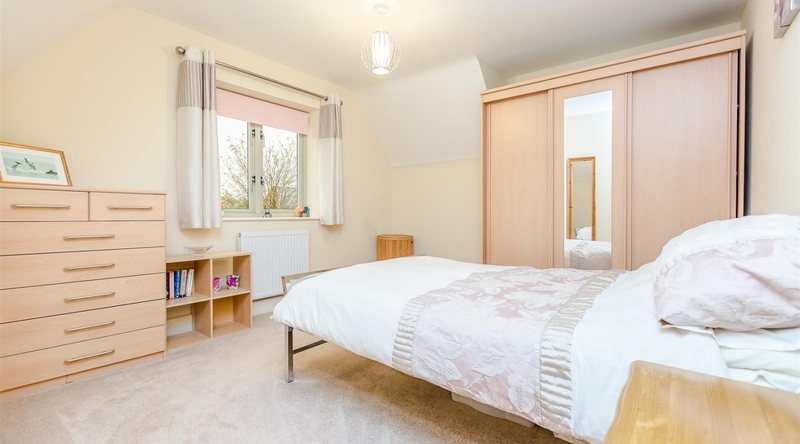 The ensuite is fitted with a white three piece suite comprising a low level WC, pedestal wash hand basin, walk-in shower cubicle, heated towel rail and spotlights to the ceiling. 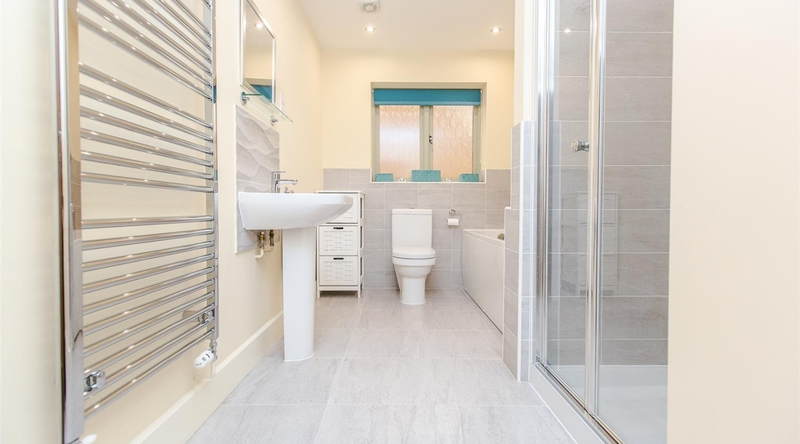 The modern family bathroom is fitted with a white four piece suite comprising a low level WC, pedestal wash hand basin, bath with shower attachment and walk-in shower cubicle. 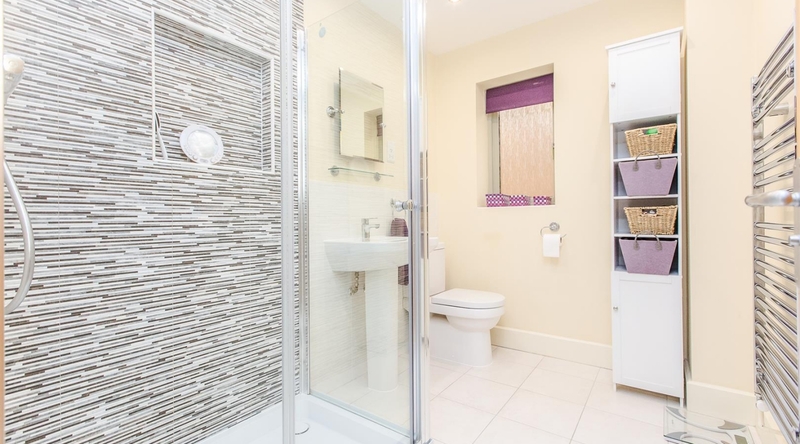 The bathroom has spotlights to the ceiling and a heated towel rail. 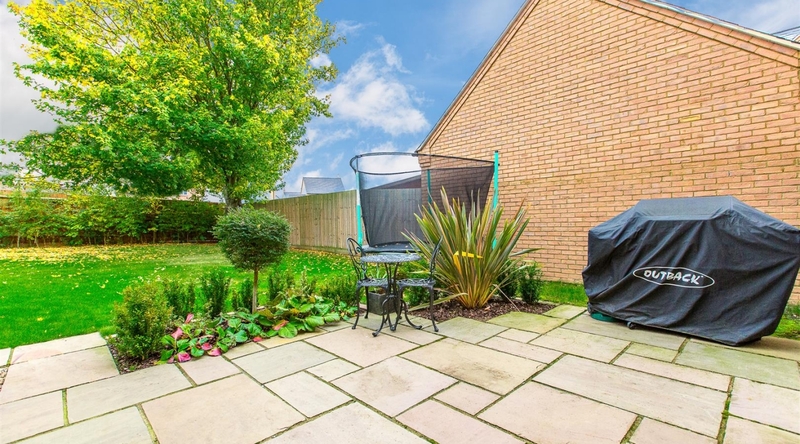 The generously sized private rear garden is predominately laid to lawn with a patio dining area and enclosed by timber fencing. 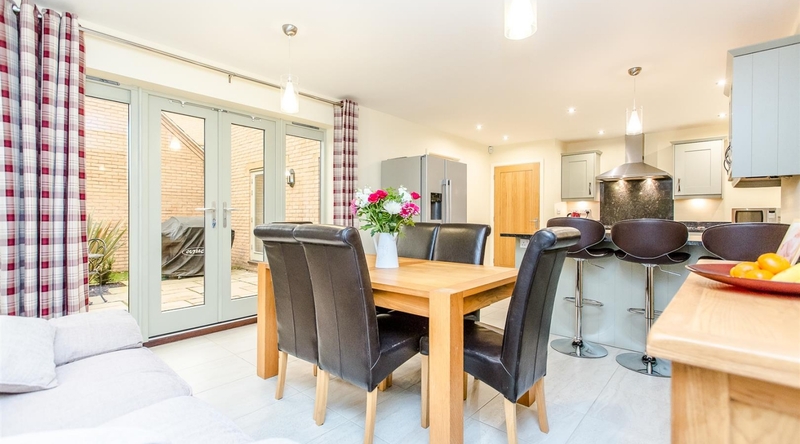 To the side of the property you will find access to the double garage, which has power and lighting, two electric doors and off road parking in front for several vehicles.